Which Driveway Pavers in Miami Should You Choose? There are many features on your property that add to its attraction quotient and you take great care to design and install unique elements in the indoor and outdoor spaces. In many ways, the driveway becomes a very important aspect when it comes to the design of the outdoor areas. In fact, it’s one of the first things that visitors to your home or commercial establishment notice; this makes it important to pay extra attention to the kind of materials and workmanship that is used in its installation. In this respect pavers are an excellent option. You can choose from various materials including brick, concrete, natural stone and tile. The material you choose will be dependent on the kind of architectural elements you have in your home, your personal preferences as well as your budget. Southern Asphalt Engineering Inc is one of the leading companies in this space and in addition to asphalt surfacing we provide excellent paving services too. Classic look-Though brick pavers have an old world charm to them, they add a touch of elegance to contemporary spaces as well. In fact, they create a very stunning impact when they are used in landscaping projects that are styled on modern designs. In this kind of a setting, Driveway Pavers in Miami add a very classic look and you can create the kind of effect you want. Design Flexibility- Driveway pavers are available in a range of designs, shapes, styles and textures. You can also opt for interlocking pavers which look very stunning and add to the aesthetics of the space. Strong and Durable-Brick paving is strong and durable and provides value for money in the long term. Maintenance- They are very easy to maintain and all you need to do is keep them free of debris and dirt and pressure-wash them occasionally. Easy Installation- These pavers are easy to install as they have to be placed on compacted sand. Applying a surface sealant adds to their durability. Easy repair- Though these are very strong installations, in case of any damage, only the individual units that have been damaged, will have to be replaced- this can be done quickly and without impacting the integrity of the installation. 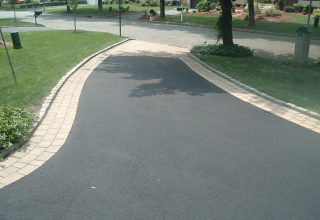 For more information about Driveway Pavers in Miami, call Southern Asphalt Engineering Inc at (305) 667-8390. You can contact us via this online form.